Hi everyone! So this post is going to be my favourites for the month of January, I'm aware this is a tad early but I'm going on holiday on Thursday morning and won't be able to put it up until I get back the week after! 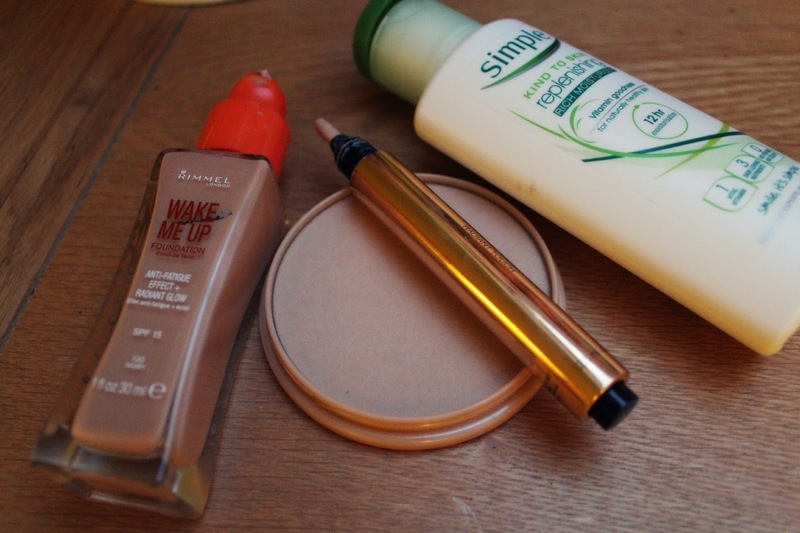 So, here are the products I have been loving! PS. Sorry the photos are terrible quality, I was working over the weekend so couldn't take photos in a decent light! I had previously been using Olay moisturizer because my Mum used it, however I have extremely dry skin so it just wasn't cutting it! My sister recommended Simple skincare as she said it didn't react badly with her skin. I have been LOVING this moisturizer so much, I would 100% recommend it for dry skin and there is another version that is not quite as thick. I put off buying this for ages because I didn't really *need* another foundation. But I am always on the lookout for a new one I thought "why not?!" as I seem to do with all my purchases..I absolutely love this foundation so much! I always thought high end foundations would be better because you're paying more but I am so impressed with this foundation and love it more than most of my high end ones! I can do a full review if you would like it! I rediscovered this product this month, I use it over the top of my concealer under my eyes as it really brightens up my under eye area. Especially when I haven't had much sleep!! I originally bought this years ago but in the translucent shade, I really didn't like the translucent shade as it made me look even paler and I looked almost dead! But I purchased this in the non-translucent shade and I really love it! It doesn't cling to the dry parts of my skin and it just gives a really nice finish! I love simple products. I am using their eye makeup remover and its the best drugstore I ever used!! I love the rimmel powder but i dropped mine ages ago and it smashed into hundreds of pieces and still haven't bought a new one! I tried the touche eclat but it seemed so cakey! 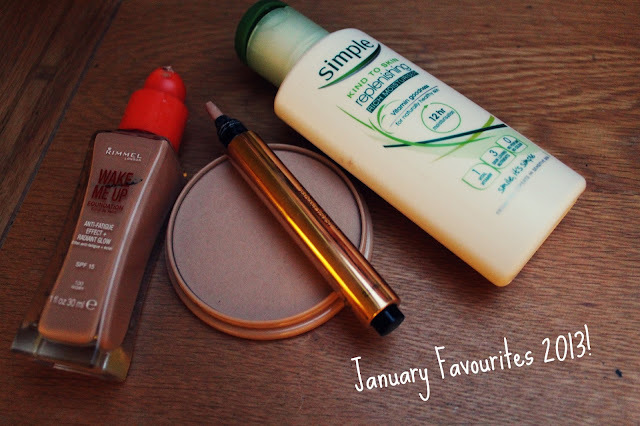 Great post, my january favourites will be going up soon! I've heard such great things about Rimmel's new foundation. I really want to try it out but I already have like a million other foundations ;__;. Good stuff, I am glad you switched to the simple moisturizer! I use a good, natural clay mask for deep cleansing (Renu Derma Green Clay Mask), with their under eye treatment, and then a good, rich organic moisturizer (La Vie Celeste Cream). I try to keep it fairly simple but effective.